Our latest infographic shows a number of factors are causing a decline in honey bee colonies. 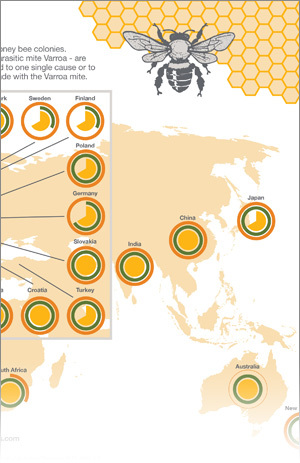 The infographic, for crop protection giant Syngenta, shows several different factors – including the parasitic mite Varroa – are responsible. Syngenta wanted a quick and efficient means of explaining the data.